Join Ben Prater on BBC Wiltshire. TV personality Christopher Biggins talks about being mugged in London. What does Honda decision mean for Swindon? Isn't Brexit starting to feel like Groundhog Day? Join breakfast presenter Ben Prater and his dog Humbug for a two mile walk as part of our Step Into Summer campaign. 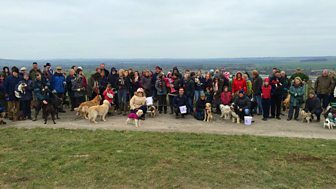 The walk will now take place on Sunday 6 May at 12:00 midday on Roundway Hill near Devizes. We'll be reporting on the radio during the walk and there'll also be chance to learn more about the surroundings. Parking is available on the hill, but there are no toilet facilities. Remember to bring warm clothing and suitable footwear. Please be aware that dogs must be kept on leads during the walk. 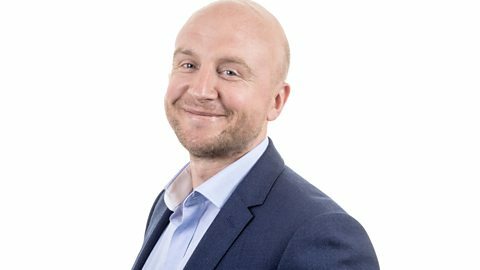 Join Ben for a spot of BBC Wiltshire Breakfast every weekday from 0630. Turning 40 but looking 50 after four years of early alarm calls, Ben’s equally at home grilling politicians in Westminster, throwing street parties in Chippenham or meeting bald lambs in Ramsbury. There’s always plenty of calls, texts and tweets from you at home with Ben getting stuck into the everyday things that matter to you. Originally from Bristol, Ben lives in Malmesbury with his wife Sally Ann, his three young children Charlie, Mia and Archie, his dog Humbug and his cat Mighty Mac. He loves running, rugby and a bit of cooking but knows he’s now first and foremost a glorified taxi driver.